In considering the problem of bike theft in British Columbia, it is worth examining legislation in other provinces. 151(1) No person shall deface, obliterate, alter, or render illegible the manufacturer’s serial identification number or a municipality’s identification mark or number on any bicycle. 151(2) No person shall buy or sell a bicycle on which any such mark or number has been defaced, obliterated, altered or rendered illegible, or which has not clearly and legibly stamped thereon at least the manufacturer’s number or a municipality’s mark and number. 151(3) Any peace officer who, anywhere in the province, finds a bicycle without either the manufacturer’s number or a municipality’s identification mark and number plainly stamped thereon, or on which any such mark or number has been defaced, obliterated, altered, or rendered illegible, shall seize the bicycle and bring it before a justice who shall thereupon issue a summons addressed to the person in whose apparent possession the bicycle was at the time of seizure commanding him, at the time and place therein named, to show cause why it should not be confiscated. The serial number is a big deal because it uniquely identifies a bicycle. Let’s face it, there is only one reason to obscure the serial number: To hide the origin of a stolen bike. This legislation in Manitoba allows police to seize bicycles with altered or removed serial numbers. It doesn’t necessarily affect the number of bikes stolen, but it likely increases their recovery rate. That is a big deal. (d) the name and the address of the person with whom the transaction is made. 4. A peace officer may, at any reasonable time, enter any establishment where the trade or the storing of used bicycles or cycles is carried on and visit the premises to inspect the bicycles and cycles found therein. He may also require that the register prescribed by section 3 be furnished to him. That’s it. I haven’t been able to find any other provincial legislation in Canada aimed at bicycle theft. The deadline for feedback on the draft of the BC Policing and Community Safety Plan has just been announced. Comments will be accepted until August 31st, 2013. Perhaps this is something for police officers to keep in mind. When you work in law enforcement, it’s easy to begin thinking that no one is trustworthy. 1) In any given year in BC, more bicycles are stolen than vehicles. 2) These stolen bicycles are used to commit numerous other offences (they are crime enablers). 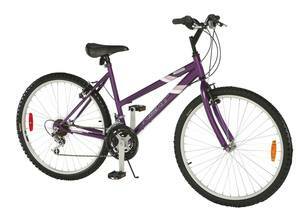 3) The recovery rate for stolen bicycles is less than for stolen vehicles. 4) Of the bicycles recovered by police, few are returned to their owners. 5) The total value of the non-recovered stolen bicycles exceeds that of the non-recovered stolen vehicles. People who know me will laugh to hear me say this… but this is a very car-centric way of looking at transportation-related crime. Here, for example, is a link to the monthly crime stats released by the Vancouver Police Department for June 2013. You can see that 89 vehicles were reported stolen in that month. But there is no way to determine how many bicycles were stolen. In order to put together a province-wide picture of bike theft, we basically need to puzzle together random media releases and/or crime reports from all the police departments in BC. This makes it difficult for a researcher to understand the scope of the problem across the entire province. Two approaches have been used so far in BC: Community-based theft prevention initiatives, and targeted enforcement. Both have their advantages and disadvantages. Bait bikes, for example, suffered a minor legal setback in Vancouver a few years ago. Now the RCMP is trying a new bait bike program along the Sea-to-Sky corridor. Both of these approaches (prevention initiatives and targeted enforcement) are important. However, property crime overall is trending downwards, yet bicycle theft seems to be increasing. This is a big deal. It points to the need for a new approach. It is a fact that legislation has not been used in this province to tackle the issue of bike theft. I will look at that in Part 3 of this series. Vancouver has significantly higher rates of bike theft per capita than other major Canadian cities. One explanation is what VPD spokesman Sergeant Randy Fincham calls an unfortunate “combination of supply and demand,” pointing to the mild coastal weather and bike-friendly government initiatives and infrastructure on one side of the equation, and a property crime problem largely driven by the illicit drug market on the other. Bikes are also more expensive these days which makes them an attractive target. Prices for a bicycle range from $500 to $5000. Bikes at the high end of that range are more expensive than my own personal vehicle. On July 16, 2013, Derek Hession posted this photo to the News 1130 facebook page. He reports the bike stolen out of his backyard in Surrey the night before. The video sounds like a good project. But something more substantial needs to be done. In the past decade, there has been a lot of talk (and action) focused on auto crime. Bike crime, not so much.